took some time, but on tripod and no wind, it worked. Lovely colour and lovely bokeh. And lucky you to find a patient dragonfly that agreed to stick around while you were putting up your tripod! ; ), this one very docile and approachable. Approx. 50 cm. distance. Lovely, crisp image with great colour. Good work to get a dragon fly like this. Great capture! Very sharp throughout the fly and luminescent colors. very much enjoyable picture, very good sharpness! Wow. I love the color mix. Terrific job. 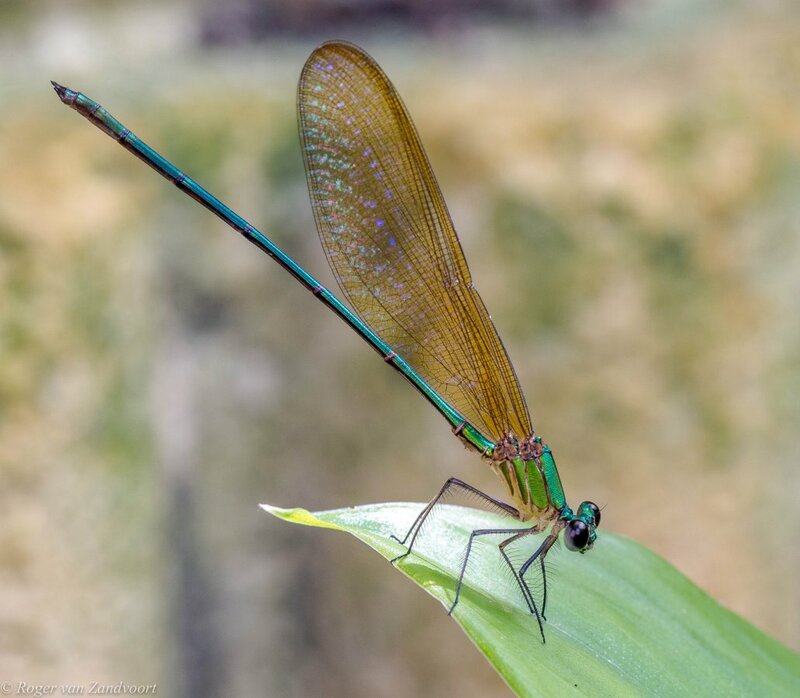 Is this a dragon-fly or a damsel-fly?? Photo is nice whatever it is.